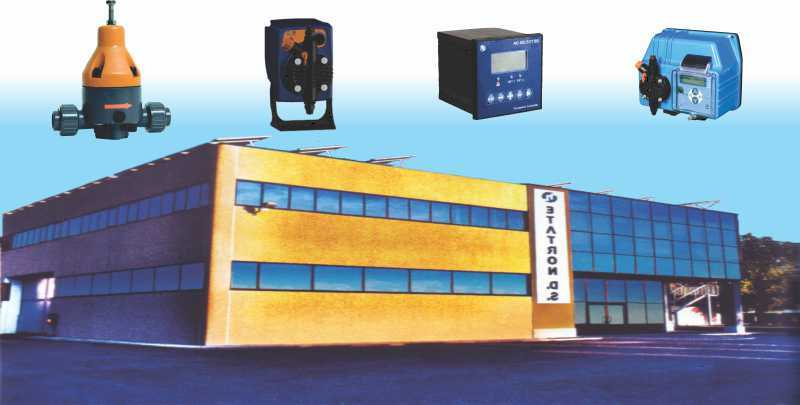 Etatron D.S the leader of the leaders, acknowledge as International leading Company with a demonstrated thirty years primary position in the manufacturing and trading of dosing systems. Well-recognized ambitious goals and sound visibility have been achieved in more than Sixty Two countries all over the world. A relevant share of manufactured products, equal to the 70% at present, is delivered to the global market out of Italy. Etatron D.S develops and manufactures a comprehensive range of dosing devices, solenoid dosing pumps, electro-mechanic dosing pumps, peristaltic pumps and more….. Chemical-physical parameters controllers, a wide range of probes and complete systems aimed to fulfill any kind of liquid dosing requirements are available. Chemical dosing pumps are divided into 03 main categories solenoid driven, Motor-driven and peristaltic metering pumps. These pumps provide proper control for specific applications and multiple needs. Solenoid driven pumps provide accurate output with more advanced controls. These have the ability to accept a contacting-head water meter signal to treat based on flow. The contacting-head water meter sends a signal to the pump when a defined volume of fluid passes through it. This causes the pump to actuate and feed a predetermined volume of chemical. Pump can be connected to a level wand to shut down when chemical tank is low or feed proportionally via a 4-20 mA electronic signal. These pumps are further sub divided in 04 categories depending on features & prices. This range of solenoid dosing pumps distinguishes itself from competitors due to its simplicity of use, high reliability, quality & compact design. The PKX range gives versatility & its ideal pump for the dosing of chemical products in many applications such as swimming pools, car washing, water treatment , wash ware etc. This range of solenoid dosing pumps covers complete industrial applications from manual dosing to proportional mode controlled by mA signal. This series also has an added advantage of digital display. This new range of Etatron DS dosing pumps represents an important step forward. Technical characteristics deliver a reliable & effective solution for those business & customers involved in chemical dosing & water treatment. The Etatron BT Series is a range of microprocessor-based multi-function pumps suitable for wall-mounted installations. They carry with them all the advantages of digital electronics – reliability, versatility and accuracy. The mechanical (motor) driven diaphragm-metering pump has been around the longest and is used for its simplicity. This pump provides consistent output with simple controls, typically a single output adjustment knob. These pumps can come with manual stroke length adjustment, motor with integral inverter to accept 4÷20 mA signal, Pressure relief & safety valves are also available. Piston Type Pumps are suitable when high pressures are required. Pumped liquid is not abrasive & does not contain suspended solid particles. Diaphragm Type Pumps are suitable when pumped liquid is abrasive or contains suspended solid particles. When zero leakage is essential. The peristaltic pump differs from the mechanical and electromagnetic pumps by using a tube instead of a diaphragm to introduce chemicals into the system. It provides a consistent feed without the problem of losing prime . The peristaltic is a good choice for applications where loss of prime is a problem. Etatron control instruments combine consistent performance and sophisticated control functions with user-friendly features . High-tech microprocessor-based Controllers are designed to measure and control pH value, Rx (Redox Potential), Chlorine concentration, as well as a wide range of other electrochemical parameters, such as Hydrogen Peroxide, Peracetic Acid and Chlorine Dioxide. Controllers are available in wall & panel mounted designs. They can control 1-2-3 parameters (i.e pH , Redox & chlorine) according to the type. These controllers are highly flexible and can be configured to measure any of the above mentioned parameters, by means of one of Etatron wide range of ion-selective sensors for pH , RX & chlorine. pH & Rx sensors are available in plastic as well as in glass body. In order to support the above controllers & sensors Etatron offers a wide range of accessories that are helpful in its installation & functioning. Accessories include from single to triple probe holders, inline electrode holders, proximity switches, coaxial cables for screw connector electrodes , buffer solutions etc. Etatron also offers dosing pump & pH, RX (ORP) or conductivity controller built into one compact unit. It has provision of measuring 1-2-3 parameters & can be designed by keeping in view the clients requirement. Etatron offers water meters for cold as well as for hot water. They can reed impulse transmitters. These water meters are available in threaded & flanged type Electromagnetic flow meter or simply mag meters are also available for sizes from DN15 to DN 600. Mixers for vessel upto 1000 liters capacity with shaft in PP, SS316 with motors from 0.18 kw to 1.5 kw & from 70 to 140 RPM are available. Etatron also offers chemical holding tanks from capacities from 60 litre to 1040 litre. MOC of these graduated tanks is polyethylene with UV stabilized & are suitable for food industry.